This course is designed to train persons that handle extremely flammable Liquefied Petroleum Gas, Acetylene and Oxygen to ensure that they fully understand the characteristics and hazards that these gases present in the workplace. They will gain the knowledge to reduce the risk of a possibly disastrous fire from starting and they will learn how to both tackle an early stage fire and how to deal with an unignited gas leak. All companies or organisations that work with flammable gases must train their staff in the safe handling of them. They should also have in place arrangements for dealing with imminent danger and train persons to implement the arrangements. This course will prepare your staff to primarily understand the hazards and associated risk that gases may present in their workplace, they will learn how to mitigate the risk of fire and how to cope in an effective and more importantly safe way with an outbreak of fire at work. 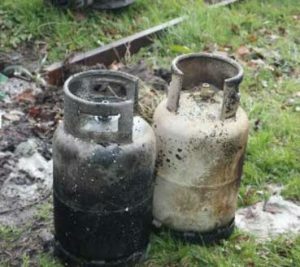 A practical first aid fire fighting equipment training session will be included that demonstrates how to safely deal with an early stage fire involving LPG. Your understanding of your role in relation to workplace fire safety and emergency procedures. Your understanding of the properties and characteristics of gases. An understanding of the safe handling of cylinders. Knowledge of the principles of combustion and fire spread. An understanding of the emergency First Aid treatment of a person affected by LPG. The ability to decide what actions to take on discovering a fire. The knowledge to safely manage an unignited gas leak. A good understanding of the use and limitations of workplace firefighting equipment in relation to early stage fires involving gas cylinders or fixed installations. 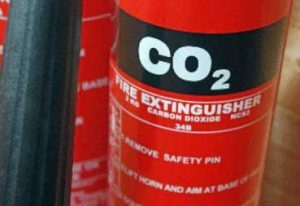 The properties and characteristics of flammable gases and Oxygen. First aid treatment of casualties. Safe handling and transportation of cylinders. Emergency Actions when dealing with a fire or gas leak. Assessment to test understanding (optional). Managers and/or staff that handle flammable and oxidising gases in industry, commerce or the public sector. A Flammable Gases Fire Safety Certificate will be awarded on completion of the course. Structured multimedia presentation and practical firefighting experience on small Propane fires.